Mark your calendars–we’re kicking off another great season of Music Monday! 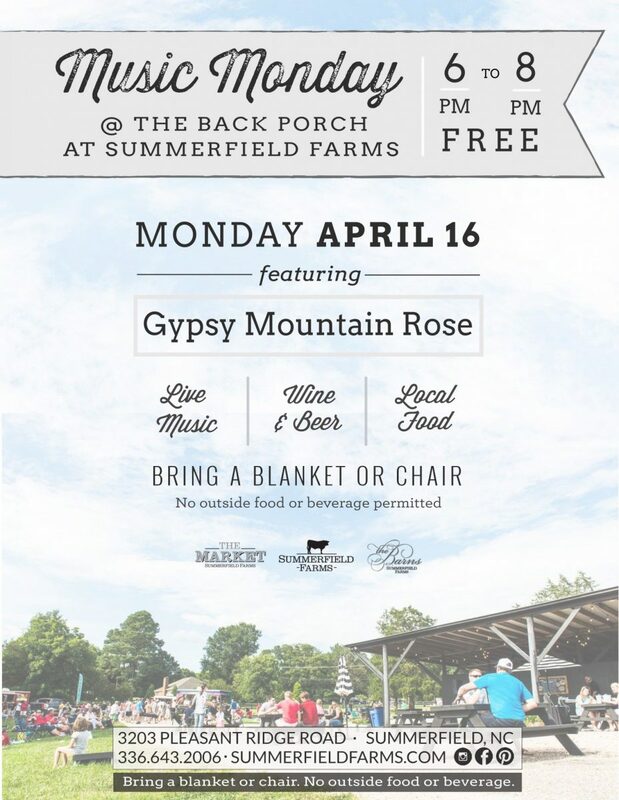 Join us at The Back Porch for bluegrass performed by local musicians, Gypsy Mountain Rose. We’ll have wine, beer, & snacks available for purchase. Make sure to arrive early, there’ll be a free wine & beer tasting starting at 5:30pm. Enjoy dinner as you listen to music. Local food truck Ghassan’s will be serving up fresh Mediterranean eats. Make sure to bring a couple of chairs to get cozy. See you in The Barn, this is an event you won’t want to miss!